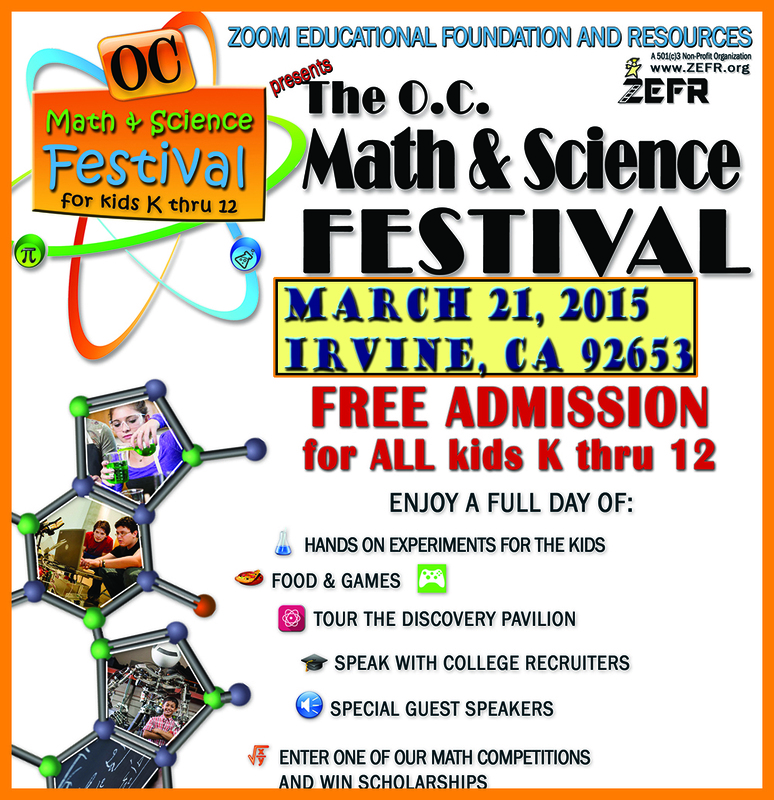 The Zoom Education Foundation and Resources, ZEFR, is hosting the first annual OC Math and Science Festival, January 31st in Irvine. It’s free and it’s for all K-12 students. The Festival is designed to expand student’s perception of science and math by direct experience that Math and Science are fun! 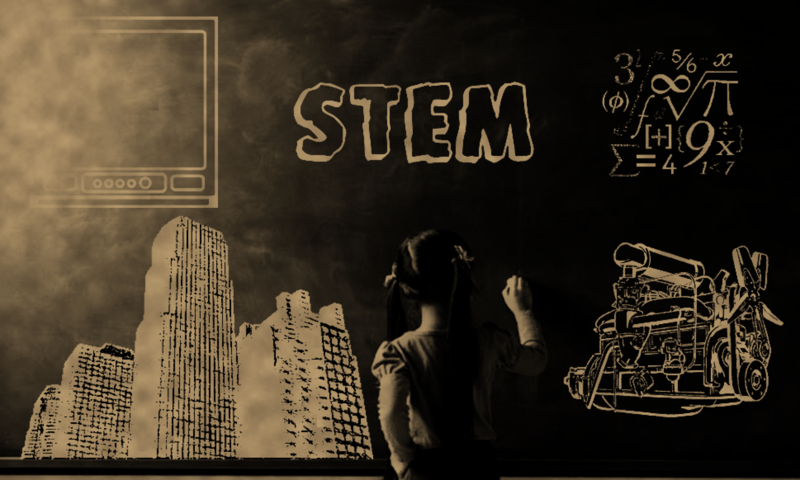 Our design is to inspire and extend student’s academic horizons with loads of games, quizzes, puzzles, and competitions that demonstration booths that invoke critical thinking & problem solving skills. Special guests are invited to entice students to explore a vision of themselves where dreams are made and self-confidence turns into reality. Where and When: Irvine. Saturday, March 21, 2015; 9am to 3pm. Who: All K-12 students. Registration Deadline: February 28, 2014. Registration is online. Late Registration: Students missing this deadline will be placed on a waiting list and will be able to attend based on available chairs for the math competition.